A R Banks are back again! The transport & lifting contractors opted for a Scania G450, 8 x 2 fitted with a FASSI F545RA2.28 Crane (achieving a 20.8m reach!) and Cabin Specification Flat Body inc. Twist Locks. 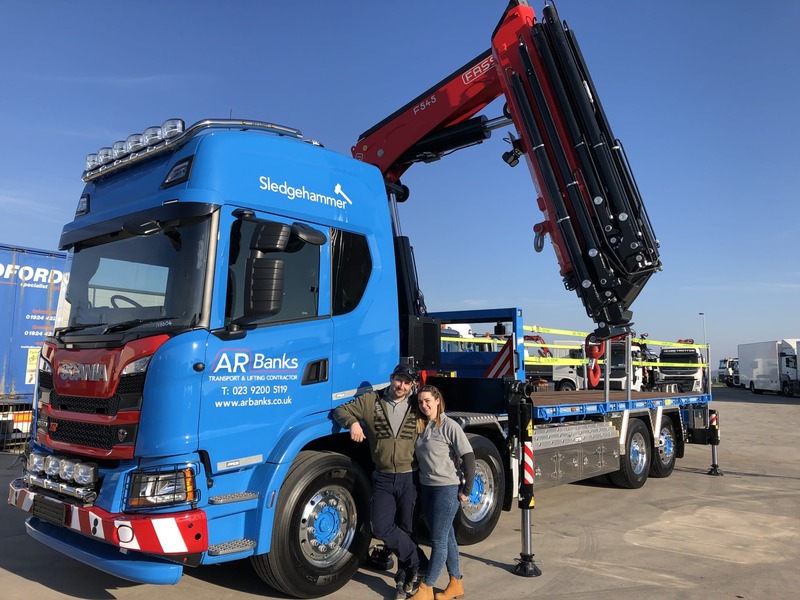 This is the fourth vehicle we have supplied to A R Banks in the past two and a half years and one thing we have learnt about the husband and wife team, Stuart and Sarah is that they opt for the best product in order to provide the best possible service to their customers. We like to think of Stuart and Sarah as not just customers but, friends of the company. We wish them all the best and hope to do business again soon!